This is quite a nostalgic dish for me growing up. 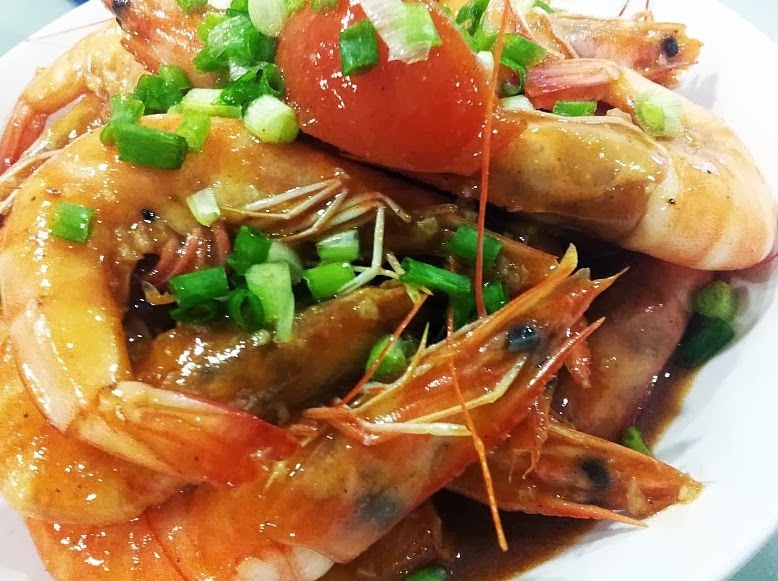 Whenever my mum prepares this, I would happily sink my teeth into the prawn heads, sucking them and licking up all the sauce from the prawn shells. Then I would peel up all my prawns one by one, add the sauce over the flesh and onto my rice, then gobble it all down. So I cooked this dish to relive those memories as well as create good ones for my children. But sadly, they have not learnt how to enjoy prawns. Well good news is, I had the whole big plate of prawns all shared between me and hubby who happily slurped up everything! There are some who prefer to remove the shell and head, just keeping the tail. But for me, I love it whole as its just heavenly sucking the prawn head with ketchup. Haha. oh well, your preference! *Always remember to keep tasting your dish to see if you are satisfied before turning off the fire.